Size Choose an option12 x 18"2 x 3 ft.3 x 5 ft.4 x 6 ft.5 x 8 ft.6 x 10 ft. Whether you’re a veteran, active duty or simply supporting a loved one, a military flag is a terrific way to show your pride and respect. 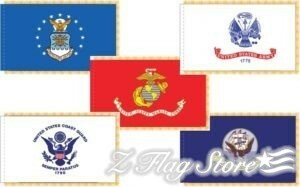 Z Flag Store’s armed forces flags are a great way to show our gratitude to the brave men and women who have fought & are currently fighting for our country. Available in nylon (and polyester in certain sizes) material. 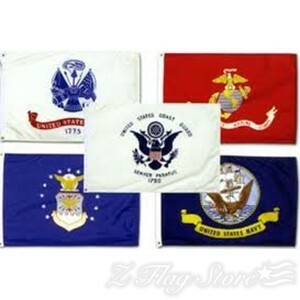 For every event and occasion, you’ll find the ideal flag that honors and beautifully shows your gratitude to our American soldiers. 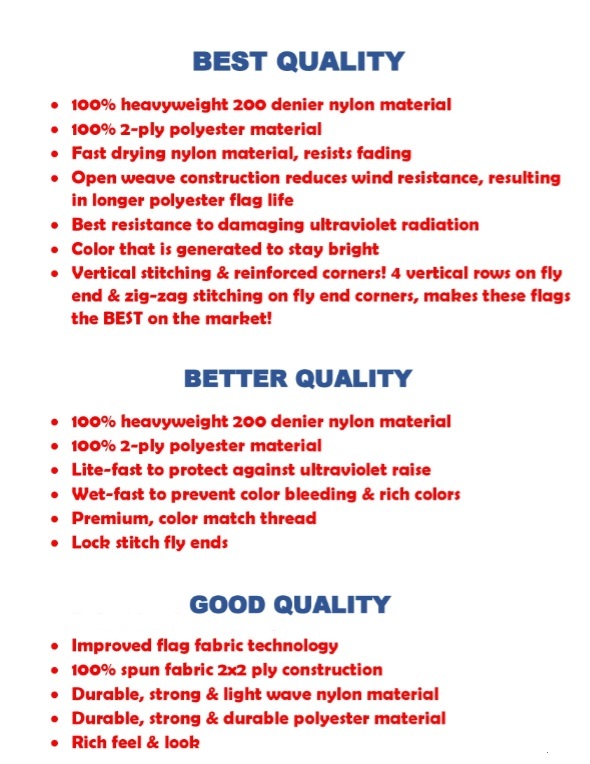 Flag quality isn’t in the name, it’s in the stitch!! 12 x 18", 2 x 3 ft., 3 x 5 ft., 4 x 6 ft., 5 x 8 ft., 6 x 10 ft.